The 3,000 or so Texas fans that turned out for the second-round NIT game against Xavier came to send a message. 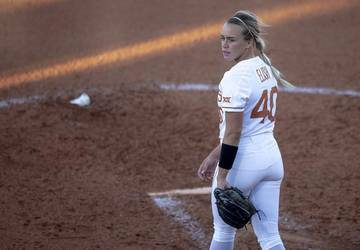 Don’t give up on these Longhorns just yet. A raucous atmosphere inside the cavernous Erwin Center helped fuel the home team on to a 78-76 overtime victory over the Musketeers. Loud chants of “Let’s go, Longhorns!” and “Texas Fight” reverberated throughout the building as four Horns finished in double figures. But the loudest cheer of the day came in the final 1.3 seconds as Xavier’s Naji Marshall missed a short jumper off an inbound play to seal it for Texas (18-16). This was a seesaw battle all the way. In regulation, Xavier’s Quentin Goodin tied the game with a fadeaway 3-pointer with about three minutes left. But Jase Febres came right back with a trey of his own for the Horns. Texas led by one after a timeout with 44.9 seconds left. Goodin got Kerwin Roach II in the air and drew a foul with 2.7 seconds left. Goodin missed the second free throw, but Xavier’s Zach Hankins got the rebound. He went up for a potentially game-winning layup, and UT’s Jericho Sims flew threw the air for the biggest block of the sophomore’s career. In the extra period, Roach had a chance to put the game away at the free throw line. But he missed 3-of-4 shots, leaving the door open in the final minute of overtime. He wasn’t the leading scorer, but Courtney Ramey was all over the place and lifting the Horns with hustle and heart. He even drew a technical foul for barking with Xavier’s Elias Harden, who got a technical as well. That may have been the spark to light Ramey’s fire. His runner in the lane with just under four minutes left showed what kind of shotmaker Ramey can be. Roach looked disjointed in his first two games back from a late-season suspension. Unfortunately for the Horns, he had two somewhat off nights in two postseason games. But Roach looked like himself against Xavier, flying around and squaring up for solid shot attempts from the top of the key. Roach had a game-high 14 points in the first half on 4-for-6 shooting and three assists. Xavier scored on a Hail Mary type of play to end the first half, and the Musketeers kept coming after the break. Marshall hit a 3-pointer, Tyrique Jones scored and the visitors were cruising on a 13-3 run to go up by four. This Texas team hasn’t handled getting punched all that well. But to the Horns’ credit, they got off the mat. Jase Febres hit a trey, and then Matt Coleman hit a squared-up 3-pointer just before the shot clock expired. Texas was back in it. Xavier has a bunch of tall fellows. The Musketeers rank 22nd nationally in average height. So it wasn’t a good sight for Texas’ Jericho Sims to pick up his second foul just 2 minutes, 18 seconds into the game. The Horns were already without 6-foot-11 freshman Jaxson Hayes, who suffered a knee injury in the Big 12 tournament. Sims logged only eight minutes in the first half but still had five points and two rebounds. Xavier had a plus-2 rebounding edge at the break. Ramey and Coleman were active on the glass as it was an all-hands-on-deck task. 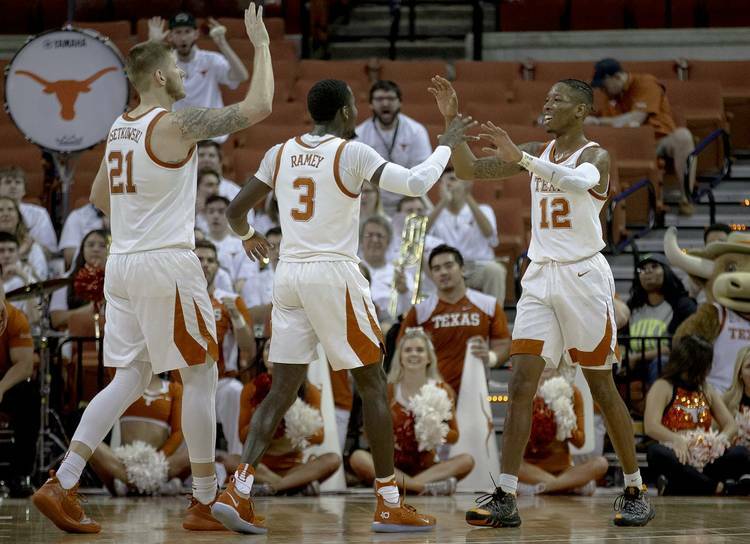 Texas moves on to the NIT quarterfinals and will face the Colorado-Norfolk State winner. Game time is 8 p.m. Wednesday. If Texas can win that game, the Longhorns are moving on to Madison Square Garden for the NIT semifinals.